Providing helpful tips and information on Apple products including the iPhone, iPad, Macbook, Mac Mini, and more. It looks like some users are having problems with their Verizon iPhone 5 using cellular data when the phone is connected to wifi networks. That's not good! No one wants to be wrongfully charged. Apple released an update to correct the issue with the Verizon iPhone 5. If you read through the comments of the article, some people wonder if the AT&T iPhone 5 has the same issue. More details are below. P.S. 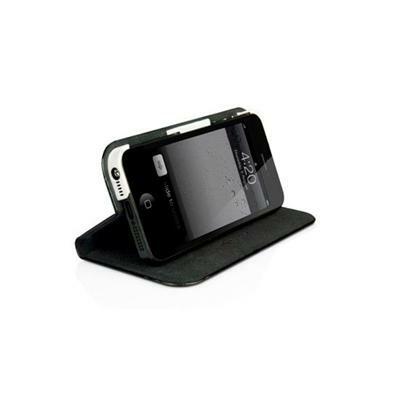 If you like the case in the picture above, click it for more information. What set the distinction of Mac desktops were the reasons why they became the top choices of business and creative professionals: exceptional performance, unique style, and user-friendly applications. But before choosing your Mac desktop, it is necessary to know which of the choices best fit your lifestyle and professional needs. 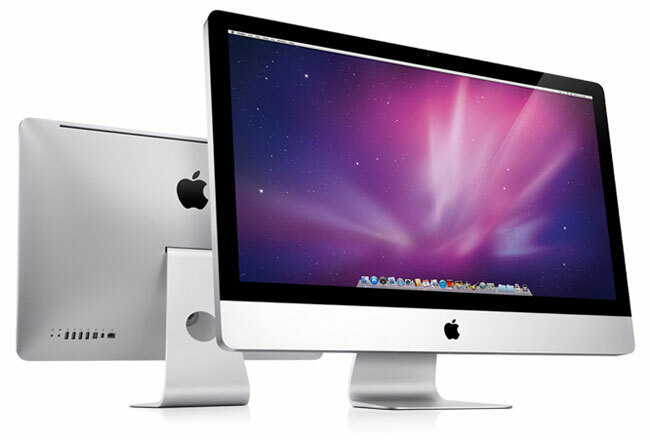 The diversity of the Mac desktop line has offered many options to enjoy the Mac experience. The current Mac desktop collection features three distinct yet equally remarkable machines you can choose from: the Mac mini, the iMac, and the Mac Pro. Get to know more of these items and find out which of the three desktops suit your needs the most for your enjoyment. How Fast Do They Run? In desktops, performance is measured by the speed of the processor and the size of the memory. Mac desktops come with different configurations to cater to a wide range of advanced users and beginners with varying performance requirements. The new Mac Pro is the fastest, most powerful Mac ever, powered by either Intel Xeon Nehalem or Westmere processor, or even both. The Intel Xeon processor comes with a single-processor, quad–core configuration at speeds up to 3.2GHz; while the Westmere series is available in both quad–core and 6–core versions. And since Mac Pro can operate with the two processors, you can have a 6–core Mac Pro at 3.33GHz, an 8–core system at 2.4GHz, or, to max out your performance, a 12–core system at up to 2.93GHz. If your tasks are less demanding, the iMac offers quad-core Intel i7 processors with up to 2.93GHz and supports up to 8GB of RAM; while the Mac mini has Intel Core 2 Duo processors with speed that reaches up to 2.66GHz and supports up to 8GB of RAM. Your digital life will go beyond the usual with Mac desktops, as they use the latest wireless technology complemented by cutting-edge graphics and simple-to-use applications. For instance, the Mac Pro redefines graphics capabilities through the ATI Radeon HD 5770 with 1 GB GDDR5 SDRAM memory, giving you brand new audio and visual experiences. And since the iMac adopted the all-in-one design concept, it has combined a display screen in 21.5–inch and 27–inch glossy widescreen models with a webcam, a microphone, and speakers, making it the most complete multimedia package among the three desktops. But if you wish to enhance your multimedia experience by integrating a Mac desktop with home entertainment devices, the Mac mini is the best pick because of its tiny footprint and DVI/VGA output. How Reliable Are Mac Desktops? All Mac desktops are equipped with two types of drives that serve distinct purposes: a hard drive for storing data and an optical drive for accessing and burning data on CDs and DVDs. Also, its Superdrive feature with double-layer support enables all three desktops to read and burn CDs and DVDs. The Mac mini comes with ample storage of up to 500GB while the iMac and the Mac Pro offer terabyte capacities at 7200-rpm. 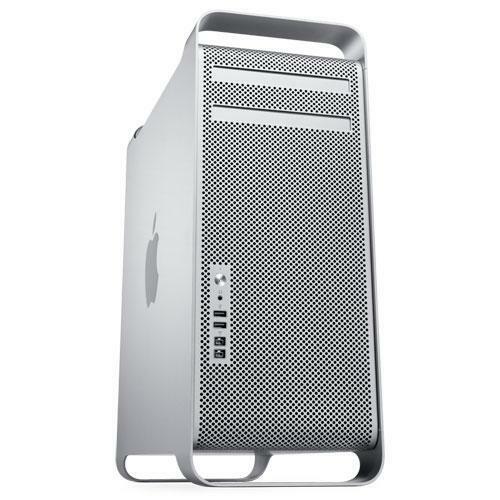 Additionally, the Mac Pro is assembled with an open optical drive bay to accommodate an extra Superdrive. Can Mac Desktops Complement Your Style? Apple has always blazed the design trail – never settling for the banal and constantly pushing the envelope of form and style. But it is not all about aesthetics; each element of design enhances the computer’s utility inside and out. If you prefer a unit that requires a minimal space, you can choose between the Mac mini and the iMac. The former has a small form factor with the simplicity of the Zen-like design. It weighs a mere 3.0 pounds, making it light enough to transport anywhere in your home. Meanwhile, the iMac saves your space with its svelte all–in–one construction that combines the display screen and CPU into a single unit, liberating your desk from clutter and the ghastly tangle of wires. 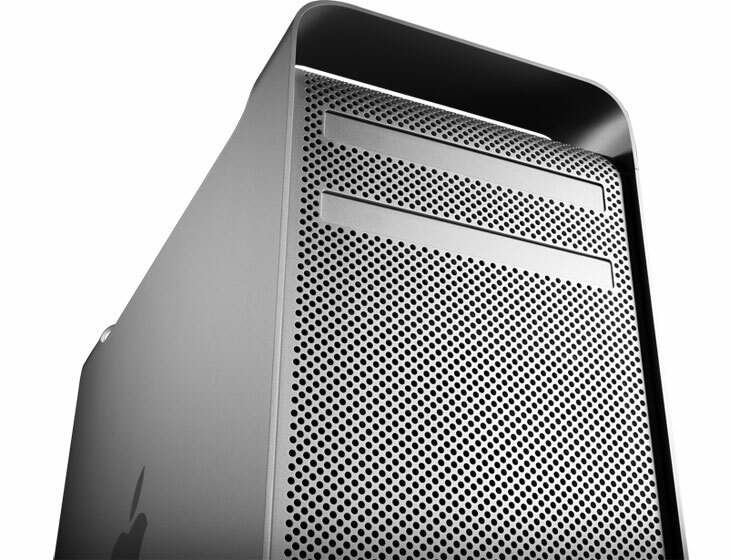 The Mac Pro, on the other hand, is anything but small. With a height of 20.1 inches and a weight of over 40 pounds, the unit looks magnificent from the outside with its sleek, aluminum, industrial frame. But its interior is even more interesting due to its intelligent structure that makes DIY hardware upgrades quick and hassle–free. Which Mac Desktop Suits Your Budget? The cost always depends on your needs and demands. 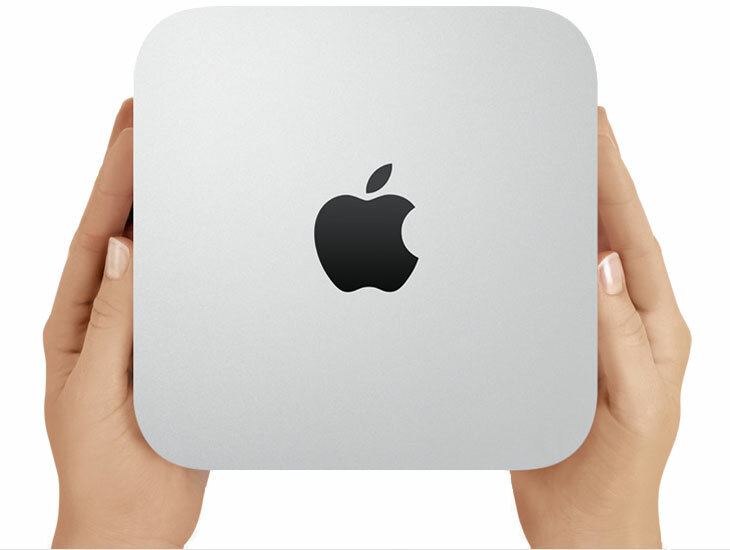 The most affordable way to get into the Mac experience is the Mac mini with a starting price of $599. Its minute dimensions and built-in wireless connectivity allow you to move the unit conveniently to any corner of your living space. With the Mac mini, you can always bring the Mac experience wherever you go. The price of iMac, on the other hand, starts at $1199. Its unique all–in–one design and solid overall performance make it an incredibly attractive package for mainstream PC users who wants to switch to a Mac desktop. The Mac Pro, which is purposely created to be a high performance machine, has the starting price of $2499 – a friendly rate for the many possibilities you can expect with this one ultimate desktop. Now that you are well–equipped with the necessary information about Mac desktops, it will be easier for you to choose which Mac is best for you. © 2011 MacMall - All rights reserved. With the problems Apple has been having with their venture into the map world in iOS 6, Apple has added a map alternatives section to the App Store. From what I've read, the map feature in iOS 6 has had a lot of complaints from customers. I haven't used the feature yet so I am impartial. Have you experienced any problems with Apple's map feature? Let me know in the comments section. Today, there are 2 articles for your review. 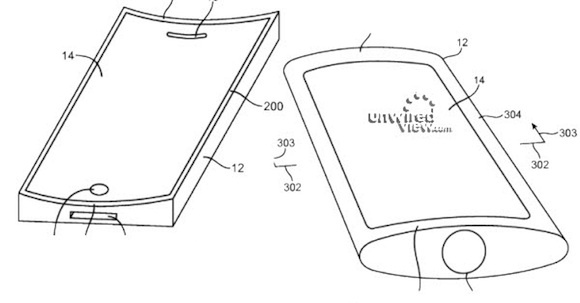 First, Apple could be looking into flexible display designs for the future. This is based on patents that were filed. Second, there is an article that shows how much it costs to charge the iPhone 5 for a year. How much do you think it costs? Read the article and see if you're correct. Rumor has it Apple is exploring carbon fiber. Carbon fiber is low weight but high strength. People use it on tuned cars a lot to cut weight. Most of Apple's devices aren't really bulky now so I'm curious what they are looking at with carbon fiber. Foxconn reopened its facility after the riot. The production lines are operating normally. Check out the picture in the article. The riot isn't funny but in past photos, they spoke about cars being flipped over. This picture is of a cart! I'm sure it was serious but that just looked a little humorous to me. What do you think? 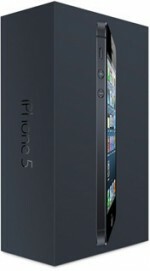 The iPhone 5 is available now. You just have to get your hands on one. Apple is rolling out a new program to assist. You can order your iPhone 5 online and pick it up in the store. Do you think this is a good idea? Would you purchase using this plan? Have you contributed to iPhone 5 sales or do you plan to purchase one? Orange you glad I didn't say iPhone 5? Seriously, there has been a lot of news on the iPhone 5 recently. It's nice to provide news about another device. That device is the AppleTV. Apple pushed out a new update for the device. Read below for the complete details. Ok, there is a bit of iPhone 5 related news today. 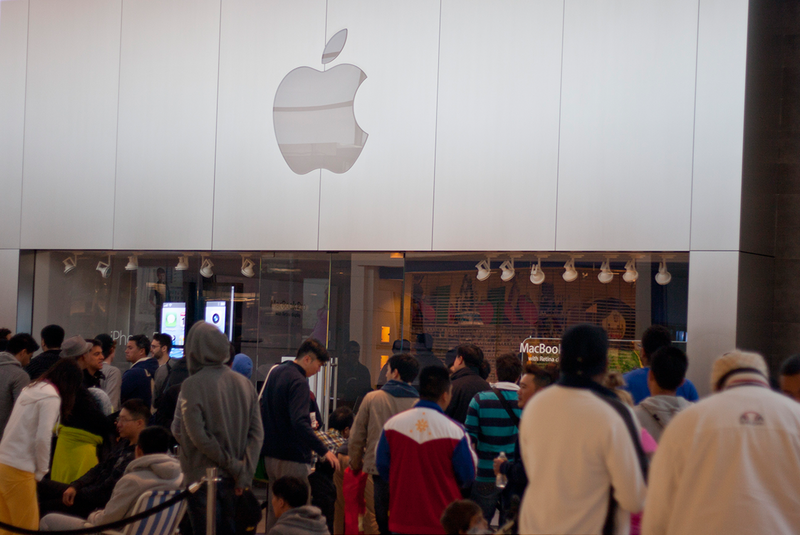 First, Apple announced iPhone 5 sales of over 5 million for its opening weekend. That's a good number (larger than iPhone 4S sales) but not quite what analysts expected. Some analysts have chimed in about why they think Apple didn't sell more. Some users have said they are having issues with WiFi on the new devices. They are reporting slow connectivity. 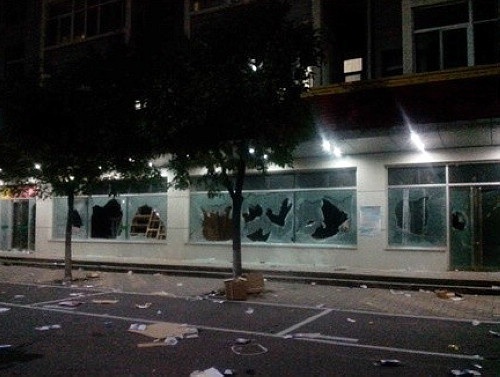 Lastly, there was a riot at a Foxconn Plant and has caused the plant to shutdown. Check out the article below to see the impact on iPhone 5 production. Apple has 4 commercials for the iPhone 5. Below you can view them all and tell me what you think about them. Well, it looks like the iPhone 5 can be jailbroken. I don't think it's available to the public yet but there is a proof of concept. More details below. 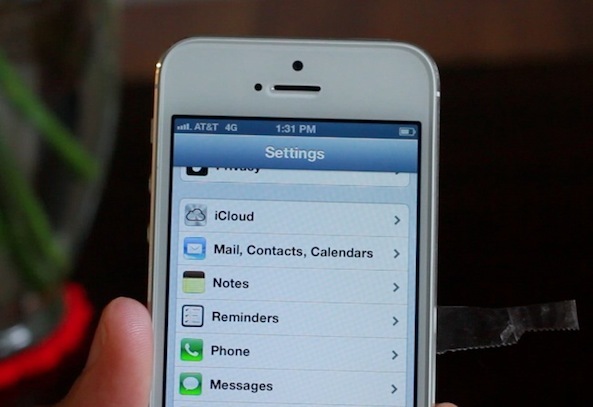 There is a video that says the Verizon iPhone 5 comes unlocked. The video shows that it not only works on Verizon's CDMA network but also on AT&T's GSM network. You won't get AT&T's version of LTE but you will get a decent speed. I guess that brings up the question of where this video took place. There is no way to confirm what coverage the user had since AT&T's LTE has limited coverage. Anyway, this makes me consider the Verizon iPhone but I'm still not sure yet. I'll wait for a bit more info. 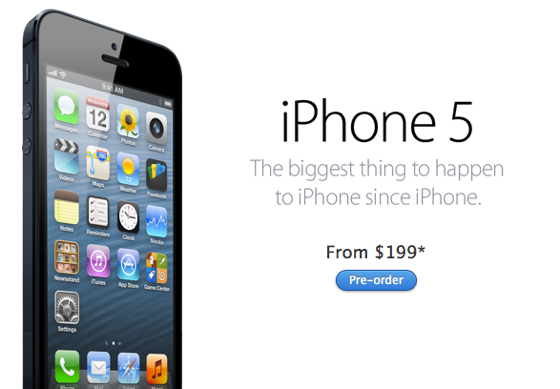 Some people that preordered the iPhone 5 are getting unexpected news. It looks like some iPhones will be arriving earlier than expected. The details are below. 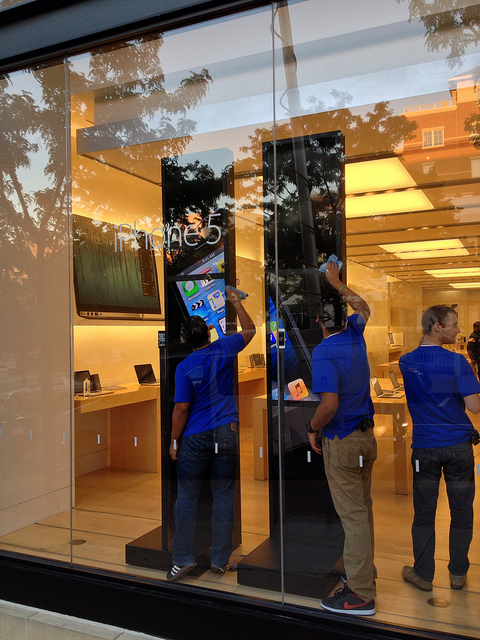 The iPhone 5 is already being sold in some Apple Retail stores due to different timezones. It seems like the demand remains high for Apple's new mobile device. Feel free to check out the articles below that go into more detail and one article even has a teardown of the new device. This is an important article because it notes that the iPhone 4S is one of the most secure mobile device. Even with that being said, it 3 weeks for it to be hacked. Read on for all the details. It doesn't mean we are at any more risk than normal. It just shows that anything can be hacked given enough time and resources. 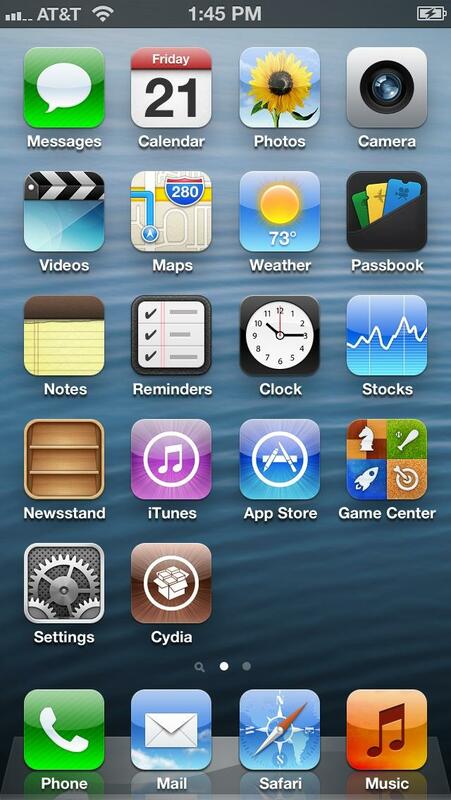 Today, Apple released iOS 6 which comes with over 200 new features. As a common Apple theme, you can enjoy some features on older iOS devices but the newest features require the newest hardware. Along with the release, reviews are already coming in. The roundup is below. Here are some tips from Macworld to help you with troubleshooting your wireless network. Hopefully, you won't need them but just in case. 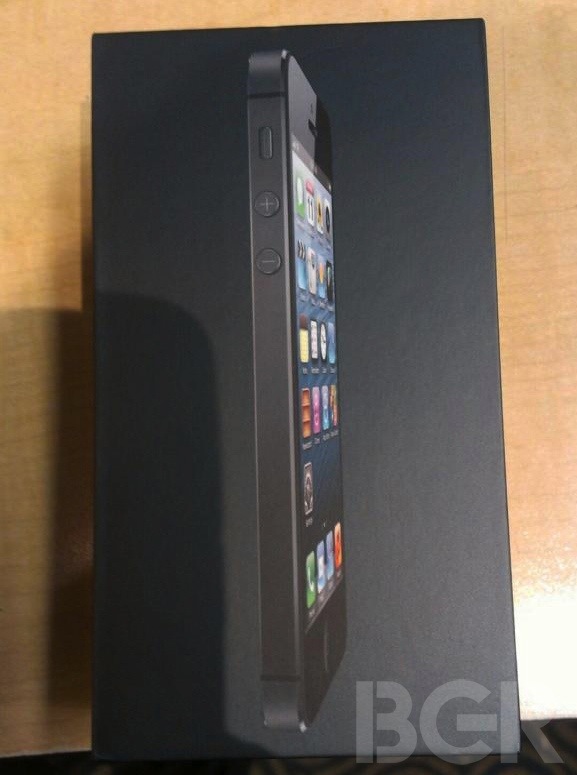 First, there is already an unboxing of the iPhone 5. Also, reviews are in! Shipping estimates have slipped again to 3-4 weeks. Check out the articles for all the details. The momentum behind iPhone 5 sales is great. Apple reported they sold 2 million iPhones in the first 24 hours of preorders. With that number, analysts are predicting about 8 million iPhones sold during launch weekend. 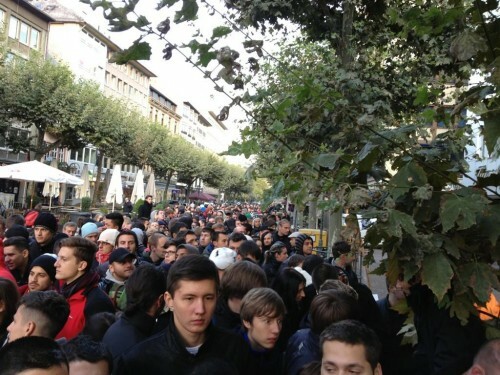 It looks like the iPhone 5 is selling like crazy! AT&T says the iPhone 5 is the fastest selling iPhone they've offered and the iPhone is setting new sales records. That's just at AT&T. There's still the other carriers and Apple. Sounds like good news for iPhone buyers and Apple shareholders. The iPhone 5 has 1 GB of RAM and an A6 processor. This is twice the RAM of the iPhone 4S and twice the CPU power. Watch me create a blog! Learn the secrets of making money online!